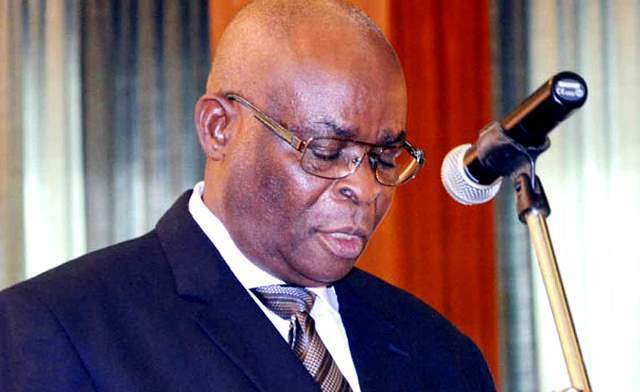 The National Judicial Council under the Chairmanship of Justice Walter Onnoghen has recommended the compulsory retirement of Hon. Justice Michael Goji of the High Court of Adamawa state for refusing to proceed on transfer to the Mubi Judicial Division of the State High Court since July, 2017. NJC took the decision at its 86th meeting held on the 8th and 9th May, 2018. Justice Michael Goji was recommended for compulsory retirement to Governor Bindo Umaru Jibrilla of Adamawa state sequel to the advice of the State Judicial Service Commission to Council after its findings on the allegations of misconduct levelled against him. Daily Independent is reporting that, the Adamawa State Judicial Service Commission had conducted an investigation on the conduct of Justice Goji, following the directive of the Chief Justice of Nigeria, after receiving the complaint of his misconduct from the Adamawa state Chief Judge. Aside from the recommendation for compulsory retirement, NJC in a statement on Thursday, by Soji Oye, Esq. Director, Information, directed that Goji should refund all salaries received by him from July, 2017 till date. NJC warned that if the embattled judicial officer fails to obey the directive, the Adamawa state government shall deduct the amount from any entitlement due to him and remit same to the NJC, which pays salaries of all judicial officers in the federation. In the interim, the council in exercise of its disciplinary powers under the Constitution of the Federal Republic of Nigeria, 1999, as amended, has suspended Justice Goji from office pending his removal from office. In addition, Oye disclosed that petitions written against twenty-five (25) judicial officers and others by EFCC were also considered by NJC after which it resolved to empanel seven (7) Committees to look into the allegations. Petitions against various Judges were dismissed for, lack of establishment of misconduct, being subjudice or that such petitions were matters for appeal. The dismissed petitions were against Hon. Mr. Justices A. I. Chikere and J. T Tsoho, Emeka Nwite and Nnamdi Dimgba of the Federal High Court, Hon. Mr. Justice Adetokunbo Banjoko of FCT High Court, Hon. Mr. Justice Taminu Zailani, Chief Judge, Kaduna, Hon. Mr. Justice M. A. Adeigbe, High Court, Osun State (who had already retired from the Bench), and Hon. Mr. Justice E. N. Ogbuiji, High Court, Rivers State. Meanwhile, the NJC said it considered the reports of various Investigation Committees and dismissed petitions written against Hon. Mr. Justice Paul Adamu Galinje of the Supreme Court, Hon. Mr. Justice Aminu Sabo Ringim, Chief Judge, Jigawa State, and Hon. Mr. Justice Peter Umeadi, Chief Judge, Enugu State. The petition against Hon. Mr. Justice Paul Adamu Galinje of the Supreme Court was dismissed sequel to its withdrawal by Hon. Yaro Abarshi and Hon. John Yobi Yarafa and others, who alleged that he interfered in a Chieftaincy matter in Taraba State. The petition against Justice Aminu Sabo Ringim was also dismissed because the petitioner, Dr Jamil Gwamna who wrote to Babatunde Raji Fashola, SAN, Minister of Power and Works, who in turn forwarded same to the National Judicial Council, withdrew the petition. The allegation was that the Judge ordered the arrest, assault, and detention of staff of Kano Electricity Distribution Company (KEDCO) when they disconnected the electricity at the State High Court and the Judge’s house for non-payment of bills. The Committee that investigated the matter according to NJC, found that the petitioner could not show or prove that Justice Ringim instructed or directed the arrest of KEDCO’s staff. Oye stated that council did not find any reason to further investigate Justices Paul Galinje and Aminu Ringim after the withdrawals. Arising from the meeting, the NJC also recommended twenty-one (21) Judges for appointment as Chief Judges, Grand Kadi, High Court Judges, Sharia Court Kadis, President, Customary Court of Appeal, and one (1) Member, Code of Conduct Tribunal. Council also received the Report of the Performance Evaluation Committee of Judicial Officers of Superior Courts of Record in the Federation on sixteen (16) Judges invited by the Committee to explain their low performance in the last two (2) to four (4) quarters in the year 2017.